The recent unveiling of a new LEGO Death Star has led to much discussion about sets being reissued, and the effect that such reissued may have have on speculative resale values. Reissues of LEGO sets are not new, and have been occurring for years. Today, I am going to look at some of the recent reissues, and address some of the controversy that has arisen. This article does not constitute investment advice, and I am not qualified to offer you any. Talk of future sets should be considered to be a figment of my wild imagination, and nothing more. If any of it comes to pass, it’s through good luck rather than inside information. Some times sets get re-released because of an update in pieces, colour palette or building techniques. Sometimes it’s because of a reinvigoration of theme. Sometimes, however, the whole theme’s source material gets rebooted, leaving the sets ripe for a reissue. So why is it $AU30 more expensive for an equivalent set, on sale in parallel with the original sets. The Ghostbusters reboot has been… controversial. I know those who have described it as ‘The most significantly defining feminist film of my generation’ and others who have gone with a less charitable ‘Worse than the first, better than the second.’I have not yet got to see the film due to the rest of life interfering. I am sorry about this: I’m sure I shall develop my own impression. 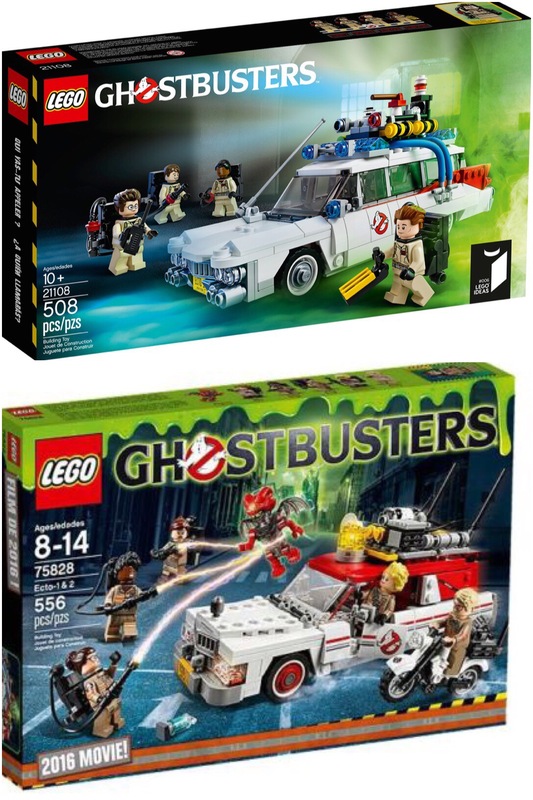 The original Ecto- 1 set from Lego Ideas (21108) is still available at its original price of $AU69.99 /$US49.99(508 pieces, 4 figures – Venkman, Spengler,Zeddemore and Stanz) Admittedly, this is a two year old set, based on a 30 year old movie. The reboot set was released online in June 2016, and hit the stores in August, with a $AU99.99/$US59.99 price tag. For this we got a slightly larger car, 556 pieces,5 minifigs (Yates, Gilbert, Tolan, Holtzmann and Kevin the un-surnamed as well as a Mayhem creature), a motorcycle and a brick separator. This amounts to a 42% price hike in Australia, but only 20% in the American market place (These prices taken from shop.lego.com on August 29,2016). Allowing for depreciation of the $AU against the Greenback – $US1=$AU1.06 in 2014; $US1= $AU1.36 today, this becomes$AU73.50 at 2014 exchange rates, when our dollar was more useful: so, to the outside world, the set is only $3.50 more expensive than the older model. So: if you were to visit Australia to purchase a Ghostbusters Car and minifigure set the price of the set does not appear to have changed significantly in the face of inflation. Unless you actually go to pick one up, then the 30% difference becomes obvious. So… in this situation, releasing a similar but different set appears to be a significantly more expensive to those of us in the Antipodes. However, when taking into account the drop in the Australian Dollar over the last 2 years the cost appears to be not significantly different to the rate of inflation (when compared to overseas currencies). This disparity is part of the reason that Australians will always get upset by the difference in price for LEGO sets between the US and Australia. I love the Winter Village line of sets. When they were first released in 2009, I started looking forward to the sets as an annual excuse to go out and pick up a new set. In 2015, I almost felt a sigh of relief, as the ‘new’ Winter Village (10249) set was essentially a reissue of the original toyshop (10199). I am not such a completionist that I require every set, (indeed, as a result, I have been able to save up for this year’s holiday train set.) However, who stands to win and lose from such a set? For me, the Winter Village Toy Shop remains my favourite Winter Village set: from the details in the shop, the model toys and the fantastic Christmas tree. Interestingly the new model (10249)was released at the same price as the previous one had been, 6 years earlier in all markets. The new version with 898 pieces, and 8 minifigures. 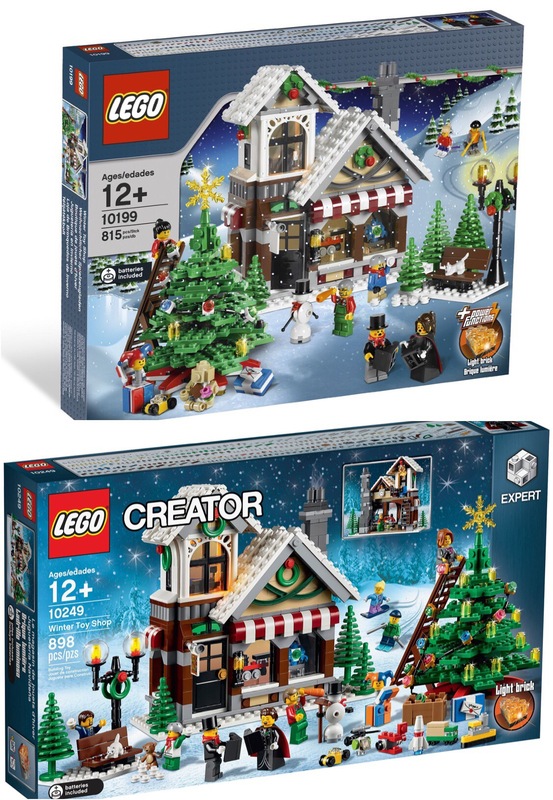 The reissued 10249 appears to only be available in the North American Lego online stores (US and Canada) at present, along with Santa’s Workshop. 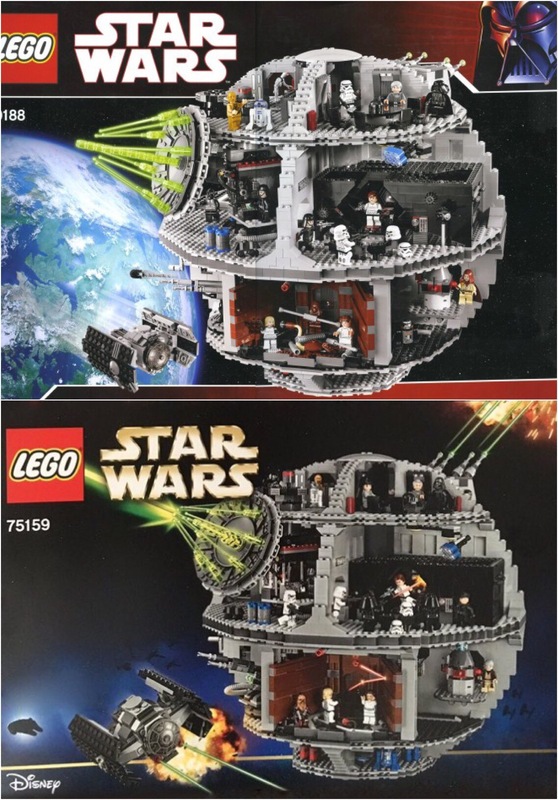 There is another set has which has recently experienced an almost unchanged reissue: That is the Death Star 10188, officially retired early in 2016, after nearly eight years on the market. At this point in time, it has not been officially announced. 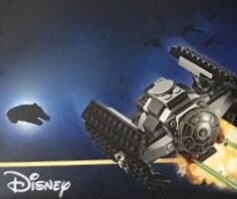 However, images of the new model, designated 75159, have recently surfaced of it being built in a LEGO Brand Store in the US. It now has 25 rather than 24 figures, and a few subtle cosmetic changes, as outlined on Brickset.com, here. It is not an unreasonable thing to do: many of the mini figures have been updated over the years, including subtle costume redesigns, as well as redesigned faces. When 10188 was released, most of the minifigs had relatively simple hair and faces: the minifigure eyes gained pupils in recent years. This set changes a couple of droids, and gains some Death Star Gunners: these figures had not made an appearance until a year or two ago, as part of a Battle Pack. Now they are home. Again, 10188 did not change in its LEGO.com pricing over the duration of its retail life. Sure, it occasionally appeared in stores here, but in Australia for the last few years it has been an online exclusive. Announced officially on 1st September, the US pricing for 75159 is $us499. There has been, and I suspect there will be further outrage at this price increase with a virtually unchanged product. While the release of this set so soon after the retirement of the original will leave a bitter taste in the mouths of many, I would not expect any large set initially presented before the Global Financial Crisis to be re-released without a bit of a price bump. The other big changes seem to be on the box: the addition of the Magic Word: Disney, and the addition of an increasingly tarnished logo: Ultimate Collectors’ Series. I appreciate that a lot of the world’s economy is not seeing the growth it once was, but even allowing for a CPI increase of 2.5% would see the cost (as opposed to the price) of 10188 increase from $US399 to $US487 over the 8 years the set was on the market. Add an extra minifig and 50 pieces, and a $us500 price tag does not seem unreasonable. Igowever, it feels like a psychologicallybig hike for the price to increase by $US100. But do you really think it reasonable that a large set should really maintain the same price over the better part of a decade? From a corporate economic point of view, I do not think it to be unreasonable for sets to be occasionally reissued with design revisions as new parts and building techniques are developed, especially if a design essentially works, and people continue to buy it. I think it reasonable to attach a price bump to the reissue, as prices and costs continue to increase, even though I would rather spend less if I could. 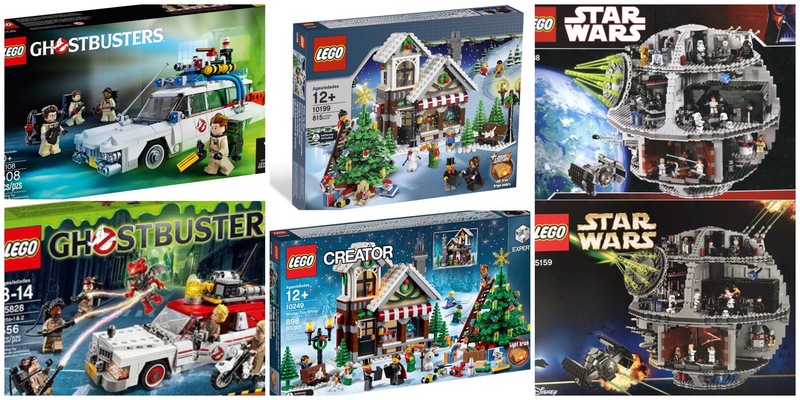 And what of the other ‘UCS’ Star Wars Set this year? Assault on Hoth has attracted it fair share of negative reviews. Are they justified? Given what UCS as a sub-brand has stood for in the past, I think they are. The Ultimate Collector Series used to imply a highly detailed model, using advanced building techniques, with a much higher piece count than that of a standard set of the same source material. The Assault on Hoth didn’t offer a lot that was new: a combination of the various snow speeders, snow troopers, wampa caves and gun turrets that had gone before. And the hanger door. All that seemed new was the ion cannon and the shield generators. And also hard to justify the title ‘Assault on Hoth’ when there were only 2 snow troopers present to launch the assault. Prior purchases presumed?So where does this leave us? Reissues are nothing new, especially in the LEGO Star Wars theme. 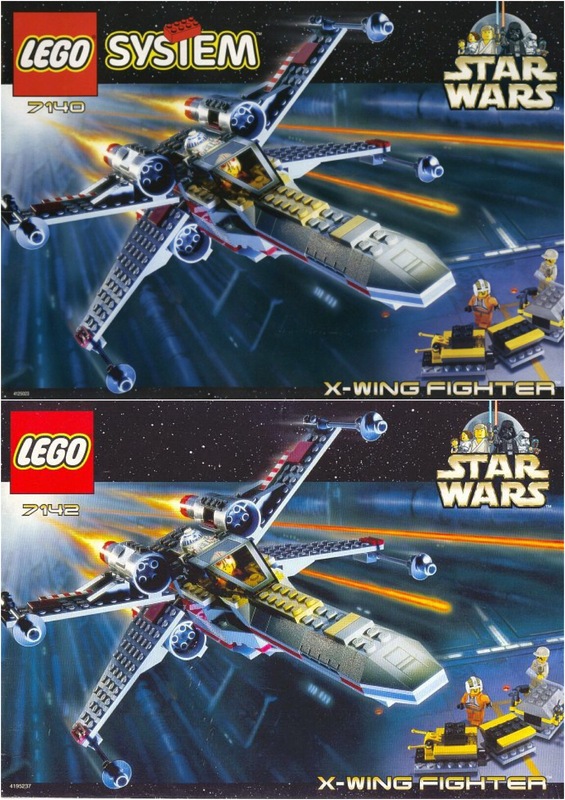 How many variations of an X-Wing fighter have we seen since LEGO Star Wars became a thing? Around twenty. – several microscale, several in minifigure scale and two UCS models. Why do I say around twenty? At least the New Death Star shows a little creativity: the X-Wing set 7140 from 1998 was reissued in 2002 as 7142 with one extra piece. At the same price. With the same minifigures. In 2002-2003 there was a series of reissued sets :’Legends’ that included a mixture of classic sculptures, rolling stock, city, castle and pirates sets. So, taking these things into consideration, where do things stand with investing your money in LEGO. Certainly there are some sets that have shown dramatic appreciation over the years since their retirement: Cafe Corner (10182) has increased in market value from $149 to$1400, Green Grocer (10185) $149 to $1200 and the UCS Millennium falcon(10179) has appreciated around one thousand percent, from$US500 to $Us5000! These are average prices for sales at the time of writing. 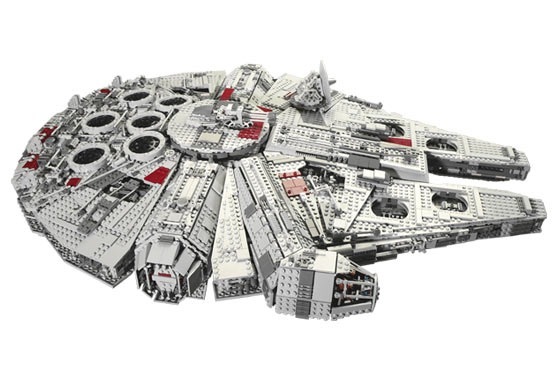 Looking at values on Brickpicker.com, which provides a guide to current market value for LEGO sets, as a guide to investment, there appears to have been little effect on the value of older Star Wars sets as they have been reissued or updated. It is too soon to see what effect the new Death Star has on resale values. However, it would appear that the resale value of the original Winter Village Toy Shop did drop significantly after the reissue was announced in august 2015. People buy lego on the aftermarket for several reasons: one might be to complete a series of sets unable to be purchased at an earlier date, an affinity to the core material. Pity the person discovering Harry Potter today and trying to gain some sets. Another might be to hold on to the set, hoping it might gain in value, its value only really appealing to collectors, who leave it in the box, hoping it will appeciate in value over the years. With some sets, this is not such a foolish idea. So, where does this leave people looking to invest in LEGO? Certainly, there is something tempting about moving into an investment that potentially has a 1000% return over 10 years or less. But you do need to be wary. LEGO’s core business isn’t retirement planning. Or ensuring that your retirement planning strategy continues to generate an income. Being a family owned company, they aren’t even generating profit for shareholders. They make toys. Predominantly for children And as such, wish to ensure that people are able to access their product. LEGO do not specifically have an interest in boosting prices on the aftermarket: infact you may think it to be the opposite, given the recent re-release of early collectable mini figures, including the ‘chicken suit man’, who appeared as an online and instore bonus earlier this year. That, and other popular sets being upgraded or reissued, as discussed above! Where would we expect LEGO to reissue popular sets: Star Wars is a prime example, and there is form here.